Happy Memorial Day Weekend, fashionistas! We hope you will be celebrating this year! Nothing refreshes a mindset quite like sunshine, laughter, family, friends, and a three day weekend. Have you picked out your Memorial Day outfit yet? If not, don’t worry! We found some stunning fashion trends for this holiday weekend. And, as always, we love to bring our followers options! Whether you’re feeling more casual, a little bold, or a little fun and flirty, we’ve got you covered! We love a woman who goes bold for any occasion! This red romper is the epitome of radiance. A bold look like this calls for some bold arm candy! We would pair this outfit with our Antique Wide Bracelet. Enough sparkle to make a statement, but it can be dressed down with a pair of sunnies, a neutral hat, and your favorite pair of sandals. Off-the-shoulder shirts will be a summer staple this season! We love off-the-shoulder looks because they allow extra space for a beautiful necklace. For this all-white look, we would add a little pop of turquoise with our Adelaide Deco Necklace! Want to dress up this white blouse and white skinnies? Add a pair of suede heels! Denim dreams! We love how simple this look is, yet how noticeable it can be! Bring your favorite denim skirt out from retirement and tuck in a comfortable blue shirt to copy this trending outfit. 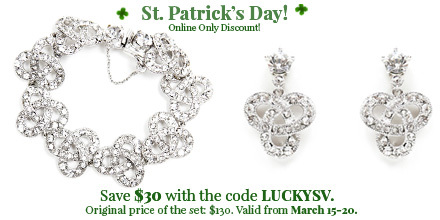 For added fun, now Is the time to wear that crown – our Crown Ring, that is! Not a huge fun of bright color combinations? Keep it neutral with a white tank and a long, striped skirt! We have the perfect black and white accessory to match: our Antique Star Earrings! Keep it simple with a pair of gladiator sandals and you are ready for a day in the sun. Love these outfit combinations? Be sure to check out our online store for more jewelry options! When you purchase any accessory from our online store, we donate 50% of proceeds to cancer research. Wear love, show hope, and give back this holiday weekend! Are you running out of outfit inspiration for Casual Friday at your office? These must-copy styles have been trending on Pinterest and we have picked our top 4 favorite outfit combinations to try on your next dress-down day (with a little added sparkle too, of course)! The key to a successful Casual Friday outfit is to tone down your formal look with something more comfortable, yet still professional. Even if jeans are your preference, we have ways to dress them up for an appropriate office style! Have you seen the new jean trend? Flares are back! Find yourself a pair of flattering high-waisted, flared-bottom pair of pants and dress them up with a loose-fitting blouse (tucked in a little if you prefer). Put on a pair of comfortable heels, grab your favorite clutch, add a touch of Swarovski crystal from our Antique Star Necklace, and get ready for some co-worker envy! We are absolutely in love with this adorable collared shirt with sheer sleeves! You can wear this by itself with jeans or layer it with a black blazer for the office. Accessorize with pointed black flats and then add a little color with our Palisades Love Drop Earrings! 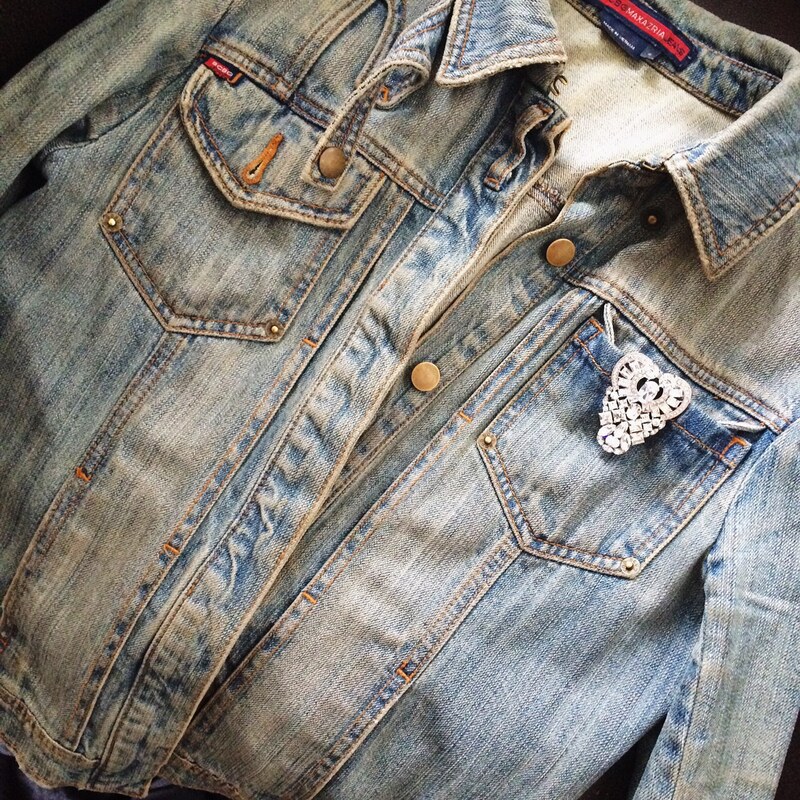 Everyone loves a denim jacket. You can pull this look off at the office if you pair it with a leopard print pencil skirt and a plain white shirt. Really make a statement by purchasing our Antique Heart Clip Necklace! You can either wear it as a necklace or clip it onto your jacket and wear as a brooch like one of our followers did (pictured below). Are you inspired by these Casual Friday looks? Follow us on Pinterest for even more outfit inspiration! Don’t forget to sign up for our monthly newsletter! Join the Saint Vintage Family by signing up today! 4th of July is just a little over a week away and we’ve got red, white, and blue on our minds! Whether you are traveling to see your family and friends, or hosting your own backyard barbeque, it’s time to start thinking about what you are going to wear. We’ve been keeping an eye on the latest red, white, and blue street style trends – and we’ve added our own Saint Vintage sparkle inspiration to make you stand out this holiday. Pops of red against white will definitely make a statement this year! Stay cool in a cotton skirt & red-striped tee. Let your hair down, add a little bit of red lipstick, and wrap yourself in our Catherine Love Strand! Adorned with a silver regal crown charm. Pick a pair of patterned shorts and build your outfit around that! We love the blue and white geometrical pattern of these shorts. Add a plain, white sleeveless blouse and layer with a lightweight, scalloped red blazer! Dress it up with some blue bling from our NEW Couture Vivien Necklace to perfect your look! We are also inspired by the idea of red, white, and blue separates. Relax in blue pants (polka-dotted if you want more flair!) and a white, cotton long-sleeve shirt. Then, add some accessories to complete this 4th of July outfit of the day – a pop of red from a clutch or handbag and our Blakesley Love Cures Bracelet make a perfect pair. Want more outfit inspiration all summer long? Follow our Pinterest board for more style! We will also be posting more 4th of July outfits – and other summer looks – on our Facebook page! Will you be wearing our jewelry for your 4th of July outing? Make sure to upload the photo and tag #SaintVintage so we can share it with our followers! We’ll even give you a 10% off discount code to our online store. 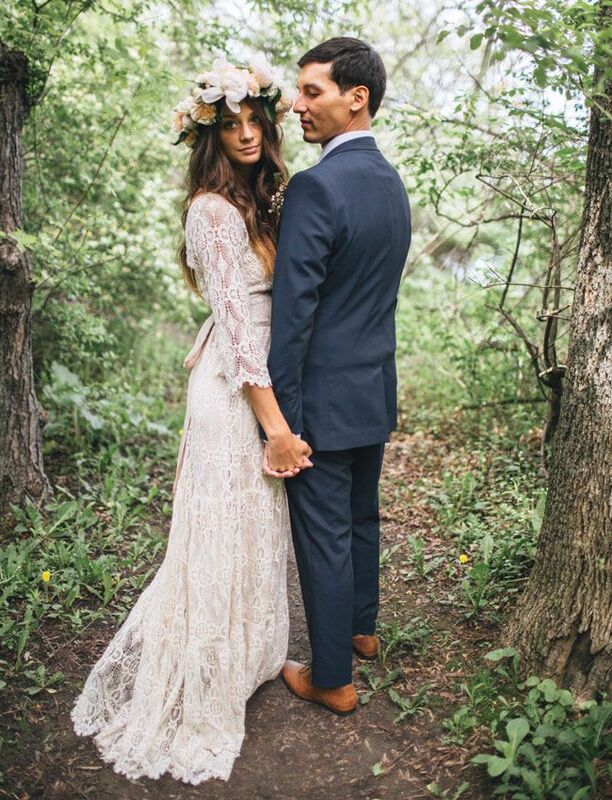 Bohemian weddings are becoming one of our favorite wedding styles/themes! Never heard of a bohemian wedding? You’ve definitely at least seen photos of them, especially if you have a Pinterest account and are into looking up new trends. The theme of bohemian weddings does not follow the traditional weddings of the past, which is why we are all about this new wedding trend! They do not have a simple, straightforward theme – they are all about bright colors, mixed patterns, layered textures, and free-spirited style. Did we also mention florals? 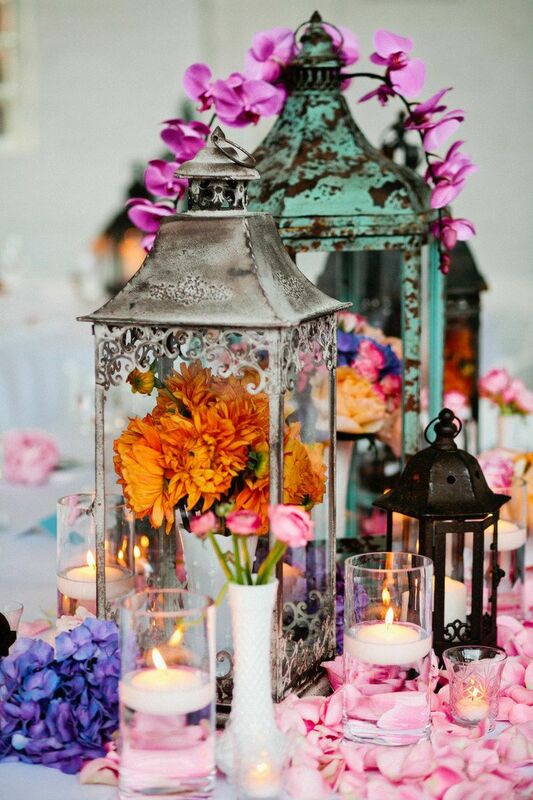 Flowers are the centerpiece of every bohemian wedding, literally. Whether they are contained in colorful vintage vases, delicately coating tables or floors, or hanging from the ceiling, you will be surrounded by the beautiful aroma of the outdoors to remind you of the spring/summer season! 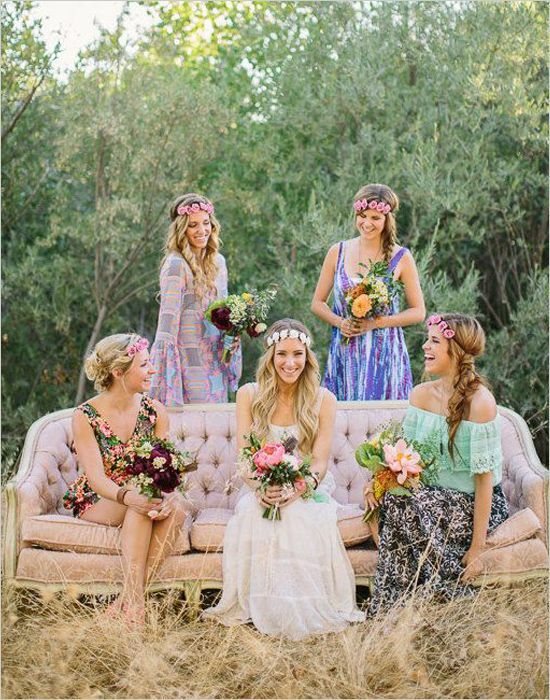 Another bohemian wedding trend involving flowers that you’ve probably seen a lot of recently are floral crowns. From simple to bold, brides are loving these sweet headpieces! If you’re a bride-to-be planning a boho wedding this spring/summer – or just love boho-chic style – then we have the must-have accessories to complete your look! 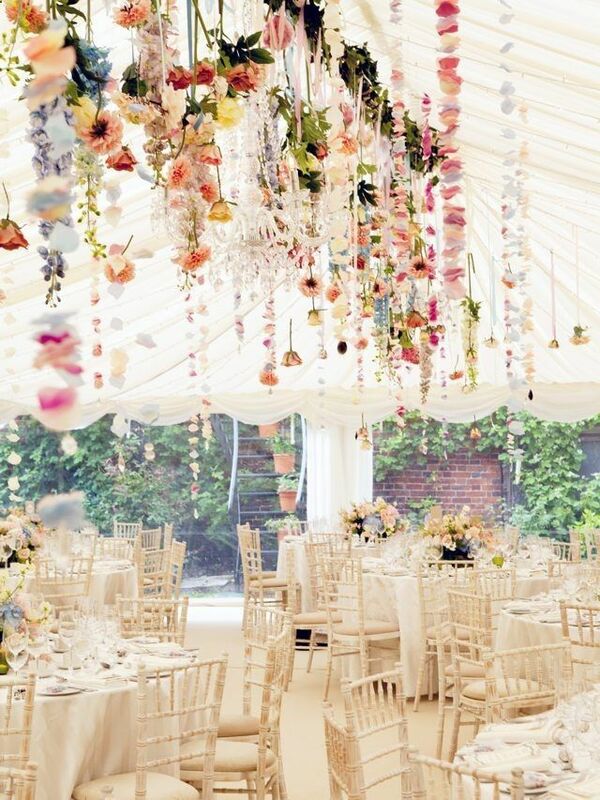 Like all bohemian weddings, we think the more flowers the better! 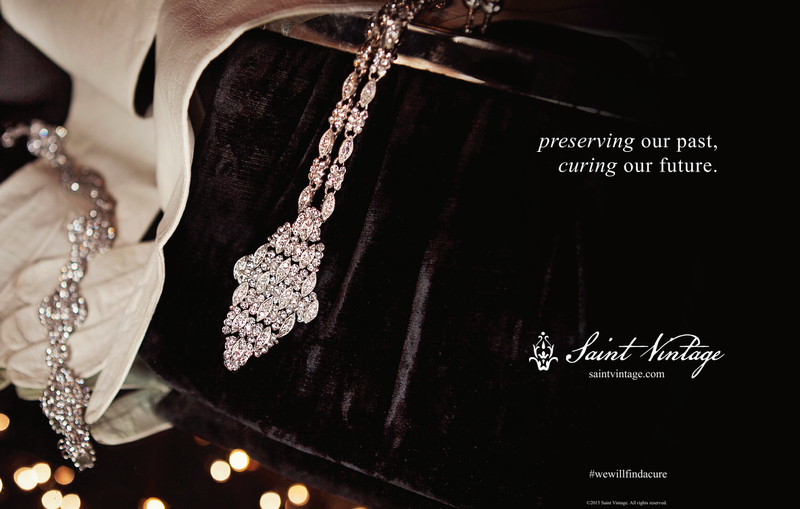 Wouldn’t you and your Saint Vintage accessory make the perfect match? For more wedding inspiration, follow us and check out our wedding board on Pinterest! We would love to have you pin with us! It’s Friday – and we have exciting news! These past few weeks, we have been uploading NEW jewelry to our online store! And we aren’t just talking about one or two new pieces – we’ve pretty much completely updated our collections of Love Strands, Love Drops, and Love Links. From our Love Strand collection, we have this new dazzling blue necklace made from Czech glass beads, an Anchor charm, and our Saint Vintage signature charm. Style Tip: You can wear our Love Strand necklace three different ways. From our Love Drops collection, we’ve uploaded these new petite earrings! They are made from clear crystal and have an intricate lace design surrounding the crystal centerpieces. Style Tip: Wear these with your hair up and truly show off their elegant design! From our Love Links collection, we have this beautiful multi-colored bracelet made from yellow and orange Czech glass beads. Our favorite feature of this bracelet is that it is perfect for any season because the sparkling colors remind of us of a sunrise. Style Tip: Warm up your cool color schemes with this diverse accessory! Love these new pieces so far? We’re not done yet! Here is a sneak peek at some jewelry we haven’t even uploaded on our website! If you purchase any of these pieces, be sure to snap a SV Selfie wearing our jewelry! Soon you will be able to get a discount for uploading the photo and tagging us in your post! To see more new Saint Vintage news, “like” us on Facebook, Instagram, or Pinterest! Say “I Do” in Cobalt Blue! It doesn’t have to be summer to wear your bright colors. Brides everywhere are starting to create wedding color themes around bolder color schemes. Currently trending? Cobalt Blue! We have seen some pictures of recent weddings that have incorporated this color into the theme and we LOVED it! The contrast of the cobalt blue bridesmaid’s dresses next to the stunning white of the bride’s wedding dress is really beautiful. If you are a future bride-to-be, then you have come to the right place! Our special jewelry collections feature a wide range of cobalt blue pieces, handcrafted from Swarovski crystal, that will match your blue wedding theme and wedding style PERFECTLY. These two pieces from our Couture Collection are incredibly unique. The Couture Ring is the perfect subtle accent piece. From holding your bouquet for the ceremony and dancing all night at the reception, your hands will be the center of attention – so add a little extra crystal sparkle! Or, if you would prefer a necklace, we have created this Tassel Necklace that will catch everyone’s attention. The centerpiece is made from blue and clear crystal while the chain is made from brass. The tassel is removable in case you want a more simple statement piece. Or you could purchase this matching set! Our Zooey Love Drop Earrings and Zooey Love Links Bracelet are made from elegant blue gems. Each gem is surrounded by smaller, clear crystals. The pops of color add the perfect pop to your wedding! You can wear these accessories yourself or gift them to your bridesmaids to wear on your special day. One of our Facebook followers even suggested that the bride wear the Zooey Collection, the bridesmaids all wear the Couture Ring, and the Maid of Honor wear the Tassel Necklace!